Good Amenities, Courtyard is nice, Bad Management,submitted by Laura G. - Mar 19, 2019 |Recommended: NoIts a nice cozy🏫 for 1 or 2 people. However, the neighborhood has changed for the worse in the last few years ➡ 🚔 more crime neighborhood is less safe a little pricey💰 . response from property - Mar 19, 2019 Laura, thanks for sharing about your experience at Valley View. We are glad to hear you enjoyed your home and amenities. However, we are sad to see you observed a decline in the neighborhood. We are here to answer any questions you may have during and following your residency. Please contact our Resident Satisfaction Manager at (414) 274-8250 or email fredcares@fred-inc.com. Thank you. response from property - Sep 20, 2017 Thank you for your review and recommendation, Nick! We couldn't be happier to hear that you are enjoying our community and staff! Please let us know if there is ever anything we can do to help. Enjoy these last warm weeks before winter on the patio, and we appreciate your residency with us! response from property - Aug 01, 2017 We are happy to hear that you enjoy your home at Valley View, Demetra! Have fun this summer enjoying all of the great amenities while we still have this beautiful weather, and feel free to let us know if there is ever anything we can help with. Great place to rentsubmitted by Randy L. - Jun 23, 2017 |Recommended: YesLovely place to stay very friendly staff enjoy living here. response from property - Jun 26, 2017 Thank you for taking the time to share your experience at Valley View, Randy! We are so happy to hear that you love your home at our community. Please let us know if there is anything we can do to help in the future! Goodsubmitted by Carrie S. - Apr 27, 2017 |Recommended: YesThe only issue is being able to hear conversations late at night when they stand in parking lot for a time. and people coming and constantly honking horns, I believe to pick someone up. Some people do sleep. response from property - Apr 28, 2017 Thank you for taking the time to leave a review on our community, Carrie! We appreciate you bringing this issue to our attention and we will work in upcoming weeks to find a resolution. We hope that you continue to enjoy your home at Valley View. Please know our office staff is always available should you need anything! response from property - Apr 21, 2017 Thank you for taking the time to leave a review, Brittany! We are so excited to hear that you're loving your home here at Valley View. We appreciate your recommendation and your residency with us! response from property - Apr 13, 2017 Thanks for taking the time to leave a review on our community, Gabriela. We are happy to hear that you are enjoying your time at Valley View and appreciate you making us aware of your few concerns. In regards to both the noise from your neighbor and your snow removal feedback, please feel free to contact our on-site staff as we are more than happy to discuss possible solutions with you! Thank you again for your feedback and we look forward to hearing from you! Relaxing place to livesubmitted by Tiffany S. - Mar 13, 2017 |Recommended: YesI've lived here almost two years and I love it. I'm happy to call this place home. Grounds are nice, neighbors are friendly, parking can be kind of difficult but that's normal anywhere. response from property - Mar 13, 2017 Thank you for taking the time to leave a review, Tiffany! We are so happy to hear that you're enjoying your time at our community. We appreciate your kind words and your continued residency with us! Quiet place to live well maintainedsubmitted by Thomas R. - Mar 09, 2017 |Recommended: YesI have lived here for 1 year. The neighbors are friendly. The building and grounds are well maintained. I had a couple of small issues in my apartment and they where repaired quickly and satisfactory. response from property - Mar 09, 2017 Thank you for taking the time to share your experience at Valley View, Thomas! We are happy to hear that our community is a place you're happy to call home. We appreciate your recommendation and your continued residency with us! Need to have parking and walking areas free of ice to avoid falling.submitted by Janice W. - Jan 31, 2017 |Recommended: YesWe like living here very much. People have to learn how to care for their pets so we can walk outdoors without walking in their messes. Inside of building is cleaner but needs to be cleaned every week. Perhaps you can appoint resident to help keep it clean. Did that where we used to live. We did it and place was cleaner and safer to walk. Love this place but you could do much better. response from property - Apr 07, 2017 Thank you for taking the time to leave a review on our community, Janice! We are happy to hear that your overall experience at Valley View has been a positive one. As a resident with us, your feedback is the key to our success. We will take all of your feedback into consideration and look forward to making Valley View an even better place to live! Again, we appreciate you providing your feedback. Thank you for your recommendation and continued residency with us! I'd live here againsubmitted by Erran D. - Dec 27, 2016 |Recommended: YesI had a great experience. 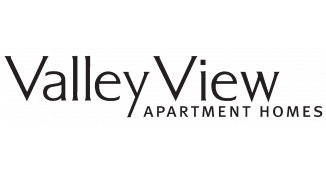 response from property - Jan 04, 2017 Thank you for taking the time to share your experience at Valley View, Erran! We are so happy to hear that your experience was such a positive one. Please let us know if there is anything we can do to assist you in the future! Greatsubmitted by Alison L. - May 27, 2016 |Recommended: YesI like living here very much. The grounds look beautiful and all maintenance has been prompt. Overall-Satisfied, good place to livesubmitted by Connor L. - May 22, 2016 |Recommended: YesIt is a great place to live, however the outside appearance of the buildings are not the greatest. The landscape-courtyard, trees, pool, etc. are beautiful. The quickness and efficiency of the maintenance was perfect. The workout room has a couple faults I have noticed. Maybe take out one or two treadmills and replace them with a leg machine or stair steppers or maybe a bench set, there also needs to be little more ventilation or air circulation as it can be stuffy. In terms of the unit itself, it works perfectly for us except for a couple things Even with two people in the kitchen, it can be crowded when it comes to cooking, the counter space is not the best. Lastly, also in the kitchen, there isn't much room for storage of pots, pans, dishes, and food. Either way the unit is a great place to live and we're happy we're here. Well Run and an All Around Nice Place to Call Home submitted by Michael F. - Apr 29, 2016 |Recommended: YesValley View Apartments are a great place to call home. They're clean and well managed. The grounds are very well maintained which gives me a sense of pride about living there. The location couldn't be better close to the beltline, bike paths, shopping, dining - you name it And with all the amenities they offer, there's really nothing lacking. If you're looking for a place to call home, your search is over.